After the huge success of the Fate/Stay Night anime, it was followed years late by Fate/Zero and there are slight changes made in the new Fate series that just couldn’t stop fans from pointing out changes and having small debates over which Fate is better. The story for both Fates are the same; it is still about the War for the Holy Grail. Magi summon the greatest fighters of Earth’s past and they use these warriors to gain the upper hand in order to take control of the Holy Grail, a divine cup that grants wishes to whoever owns it. 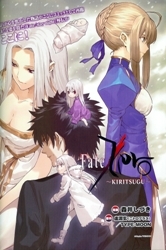 The only difference is the time setting: Fate/Zero happened a decade before Fate/Stay Night. Another change is the anime producers. 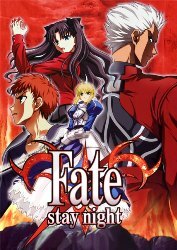 Fate/Stay Night is produced by Studio DEEN, a veteran Anime studio that has produced successful titles such as Weiss Kreuz, Ranma 1/2 and Rurouni Kenshin with their unique blend of delivering anime on television. just to name a few. Fate/Zero, on the other hand, is produced by Ufotable. Ufotable is a rather new Anime studio that began in the year 2000. Ufotable also produced notable anime titles but are known for their “movie-like” quality. The line-up for the voice actors in Fate/Zero has also been changed from Fate/Stay Night. Although Ayako Kawasumi came back from Stay Night to reprise her role as Saber, Fate/Zero is loaded with famous voice actors such as Midorikawa Hikaru who voiced Kaede Rukawa from Slam Dunk, Tamahome from Fushigi Yuugi and Heero Yuy from Gundam Wing and even Seki Tomokazu who lent his voice to Haru Glory from Rave Master, Ken Hidaka from Weiss Kreuz and Chichiri from Fushigi Yuugi. Whatever the differences, Fate/Stay Night and Fate/Zero are both captivating and compelling anime shows. Fans just couldn’t ask for more.